Crackle is a modern metallic wallpaper with subtle glitter detailing making it a stunning choice for your feature wall wallpaper! 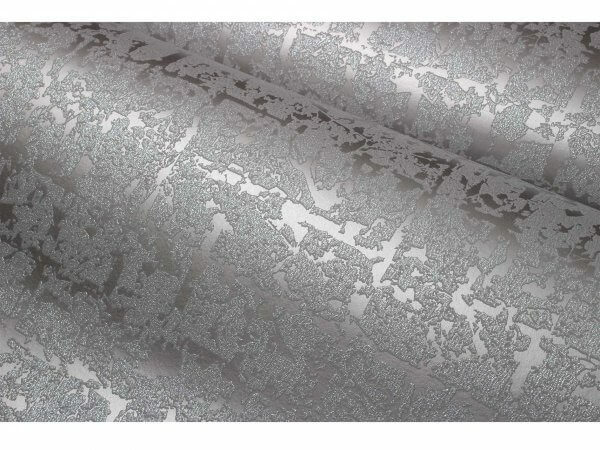 Crackle is a stunning metallic silver wallpaper with subtle glitter detailing to make the design really stand out. Its more than a plain wallpaper but its not an overpowering pattern either meaning this subtle design could be utilised in any room in your home. The all over metallic finish really helps the wallpaper to pop, reflecting light beautifully. You won't be disappointed with this beautiful design!